I know it's a clothing brand based in London, but that's the only photo I could find that summed up my experience. It was one of those days I guess. I am a member of a local gym at Crystal Palace, and as it is part of the Better network of sport centres I can also attend other sport centres within that network. I was really in need of getting in a yoga class, especially with the increased amount of running I've been doing. 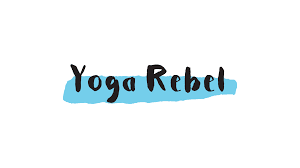 It seems that everyone else also is really in need of yoga as the classes get booked up very quickly so I often end up being on the waiting list in case of cancellations. So that was the case today - I was on the waiting list for Hot Yoga at Streatham Ice and Leisure Centre or Yoga at Crystal Palace. To my luck a place became available at both classes simultaneously, so I had to choose. I generally prefer Hot Yoga, but given that the Yoga class was happening much nearer to my home, and would be starting and therefore finishing earlier in the evening than the Hot Yoga class I plumped for Hot Yoga. Unfortunately, train delays from London to Crystal Palace occurred and I ended up arriving at the Sport Centre a few minutes late. Then the machines for printing off receipts weren't working, there was a massive queue to get through reception so I consequently arrived at my class almost 10 minutes late. Understand that I don't like arriving late to classes, but this one couldn't be helped. I entered the room via the back door, and went to pick up a mat at the back of the room. However, the teacher decided I couldn't join in, even though my arrival did not cause a disturbance because I was at the back of the room. "No you can't join in," she said. "You are bringing negative energy." I was very surprised to be refused entry, particularly as another woman had arrived late a few minutes before me. Often when people are late the instructors are quite accommodating. But this instructor wasn't. "If you don't leave I will stop the class," she ordered. This wasn't reasonable, I thought. I had dashed over in good faith to do the class, I hadn't caused any disruption. Surely it was easier for her to just continue on and ignore me as I wasn't making any noise. Well, I decided that I had dashed back to do yoga, and that was what I was going to do. So I took my mat, placed it on the ground and lay down. The instructor was furious and immediately said that she was stopping the class and would call the management. There then ensued a farcical situation where she called the management and then told some trumped up story about how I had burst into the room, making loads of noise and wouldn't leave when asked. Also, because I had unfortunately not been able to get a receipt due to the machines not working she claimed that I had arrived at the class and hadn't paid, so shouldn't be there. Of course, I had paid - I had membership. But I wasn't going to give my details or even my name because she was asking the management to revoke my membership for disruptive behaviour! So that gave more support to her claim that I was a disruptive freeloader. The management didn't know who to believe or what to do. Meanwhile, the other participants in the class were getting restive and annoyed. A lot of them took the side of the yoga teacher, saying that I was disturbing their karma and why couldn't I just leave so that they could continue with their class. Well, we were in a stand-off here as I wanted to do yoga, I was a paying customer, and my belief was that the yoga teacher could have made life easier for everyone all-round if she had just ignored me and continued with the class. I expressed to the teacher and the centre employee (who was just a receptionist rather than a manager with no powers to do anything) my right to attend my class, and continued to lie on my mat with my eyes closed. The employee tried to persuade the teacher to resume the class, but she said she didn't feel like it, and was not going to teach while I was there. I think that she was just getting very personal with me, which was uncalled-for. In the end, the employee suggested that she resume the class in another room. So she and the remaining attendees of the class (a number of them decided to leave during the altercation) were obliged to up sticks and go elsewhere, leaving me in the room to continue my meditation and Vinyasa Flow alone. Now, that was a bit unfortunate. But I've got to say that for someone who you would expect to be laid back, this yoga teacher was very uptight and uncool. And in my opinion her behaviour had backfired because her class was disrupted, she ended up in an angry mood, having to move to another room, and she had lost half her class. Was it really worth it? I think not. I ended up doing yoga in my own private room, and then went home after half an hour. It wasn't quite in the way that I had expected, but it was something I needed. Yes, I had been a bit of a rebel. I am not proud to say that, but I had to make a stand in the face of an instructor who was being unreasonable. I probably won't go to one of her classes again, and she won't want me there either. But it's no loss. There are plenty of reasonable yoga instructors around. I guess on a Wednesday night I will just stick to doing Hot Yoga in Streatham - and that's no bad thing!